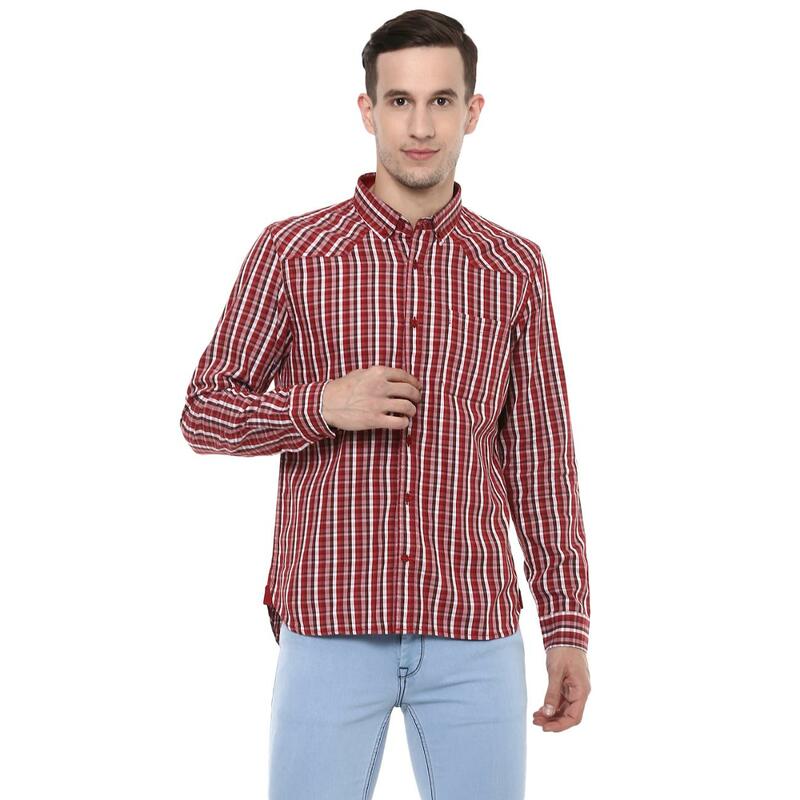 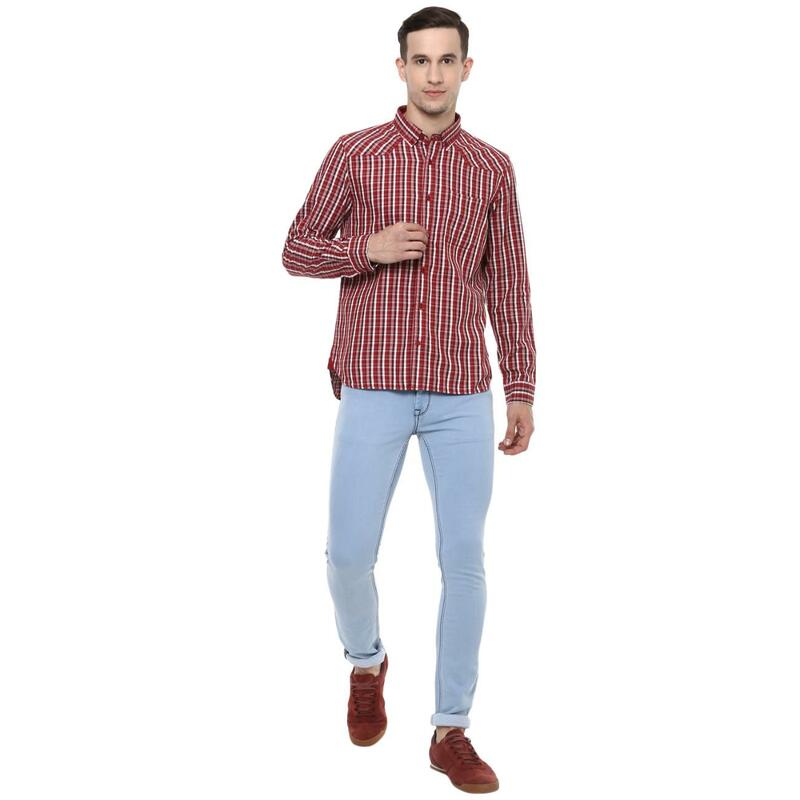 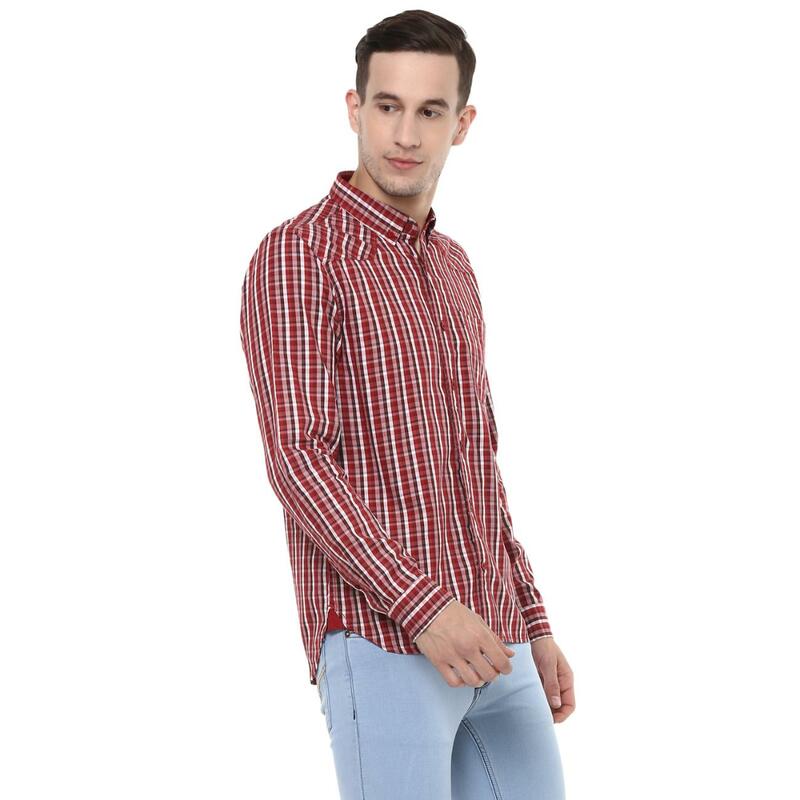 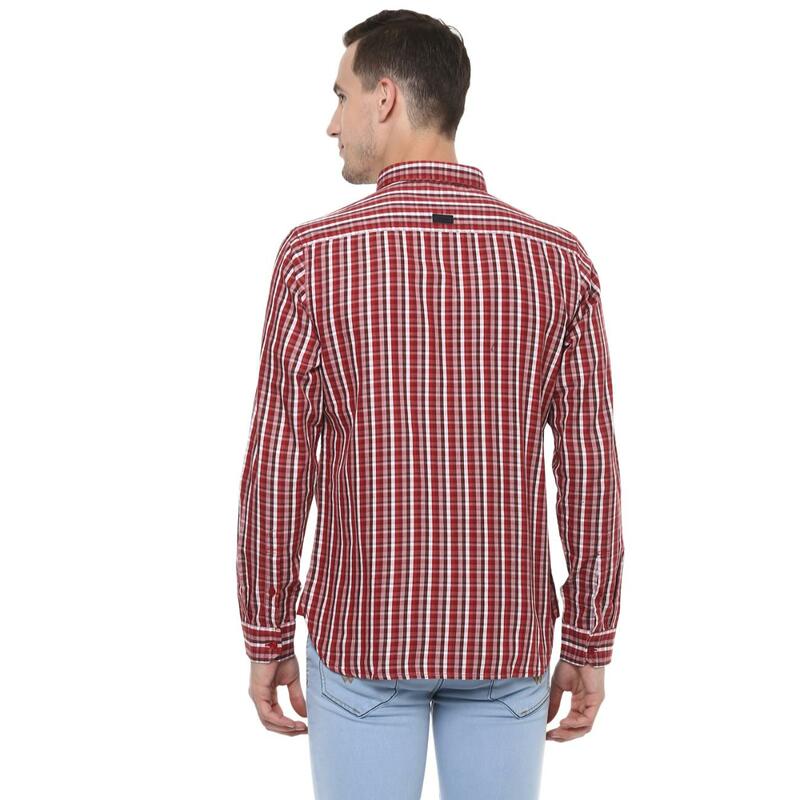 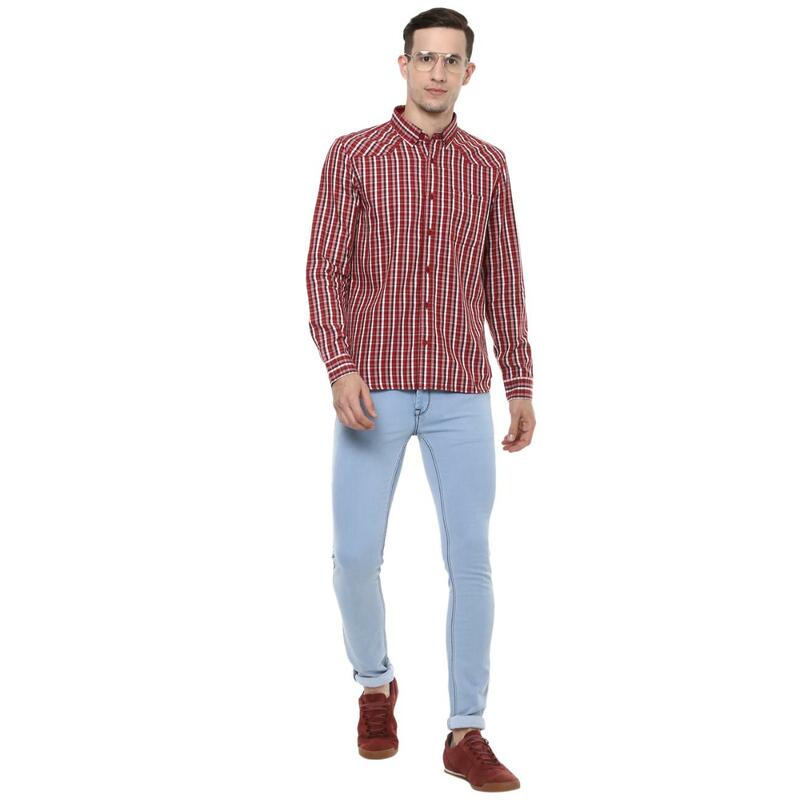 Give a refreshing twist to your casual look by wearing this blue and maroon casual shirt for men by Red Chief. 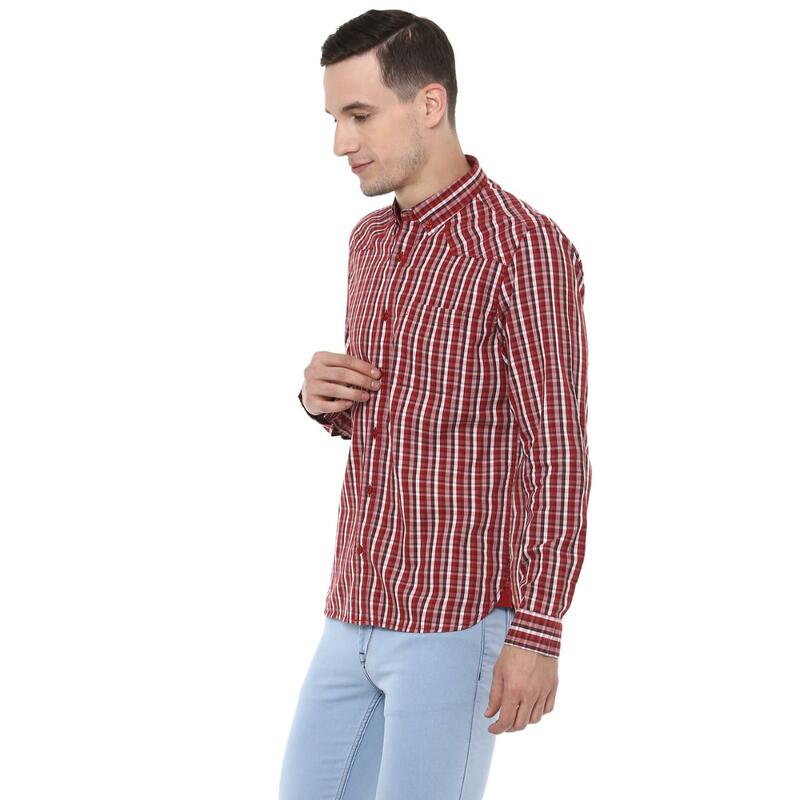 Finished with a check pattern, this full-sleeved shirt will ensure a comfortable fit, courtesy the 100% cotton fabric. 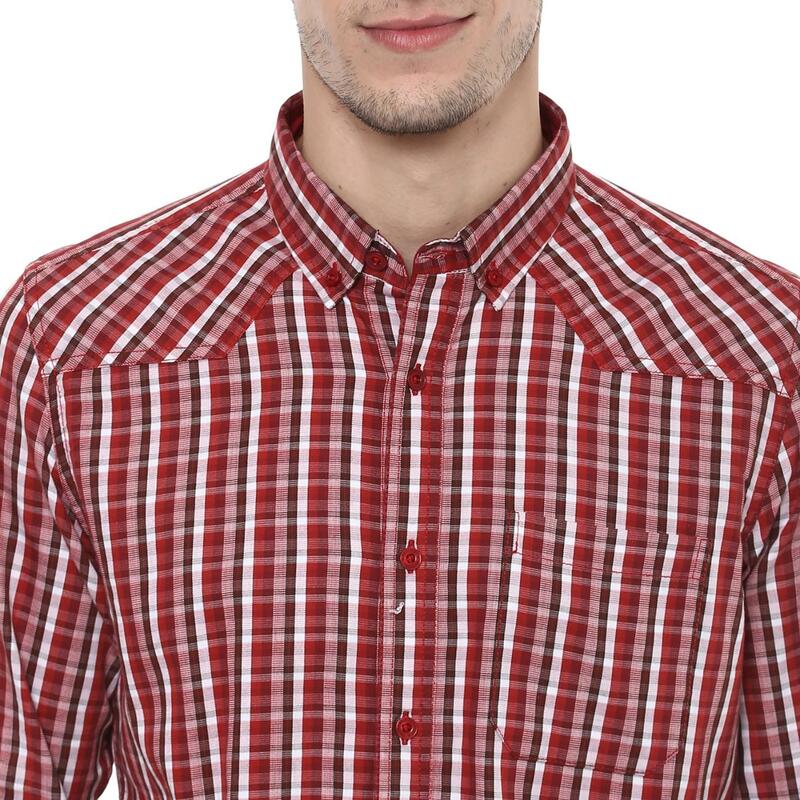 Perfect for weekend outings, this shirt will go well with khaki chinos and boat shoes.